Higher levels of HbA1c do not increase the composite risk for end-stage kidney disease and death in adults with diabetes, according to findings published in the Journal of Diabetes and its Complications. “Intensive glucose-lowering therapy is proven to reduce the risk of developing [diabetic kidney disease]. However, the effects of intensive glucose-lowering therapy on progression of existing [diabetic kidney disease] are unclear,” the authors write. In addition, these agents pose their own risks to patients with diabetes, the researchers wrote in the study background. A total of 618 participants (mean age, 60 years;308 with diabetes) from the study were included for analysis. The primary outcome was the composite of end-stage kidney disease and death, which were both determined based on data from the National Death Index and the United States Renal Data System. 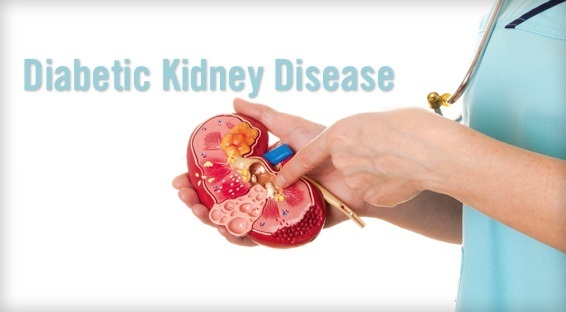 End-stage kidney disease was confirmed when a participant began maintenance dialysis or had a kidney transplant. In the study population, there were 343 instances of composite end-stage kidney disease and death, but higher HbA1c levels were not linked to these events in participants with diabetes. Researchers observed a nonstatistically significant 1% lower risk of composite outcome per 1% higher level of HbA1c. “A more customized approach to target HbA1c levels might be necessary to prevent the adverse effects of overtreatment in these patients. Long-term diabetes may cause autonomic dysfunction and ‘hypoglycemic unawareness,’ and ‘self -monitoring glucose’ should be emphasized and routinely done in diabetic CKD to prevent subclinical hypoglycemic episodes,” the researchers wrote.